The Department of Homeland Security has submitted a new request for assistance to the Pentagon to further harden the U.S.-Mexico border, two defense officials told Military Times. The request, commonly referred to as an RFA, does not ask for specific troop numbers or equipment, but instead seeks capabilities, a defense official said, adding that the request is seeking “nothing new” from what has been provided in response to earlier requests. Last fall, in response to DHS' request for support, the Pentagon provided equipment and forces to erect concrete barriers and concertina wire along the border, and provided the logistical, medical and aviation support needed to support border agents and the approximately 5,000 active duty and National Guard troops still deployed there. 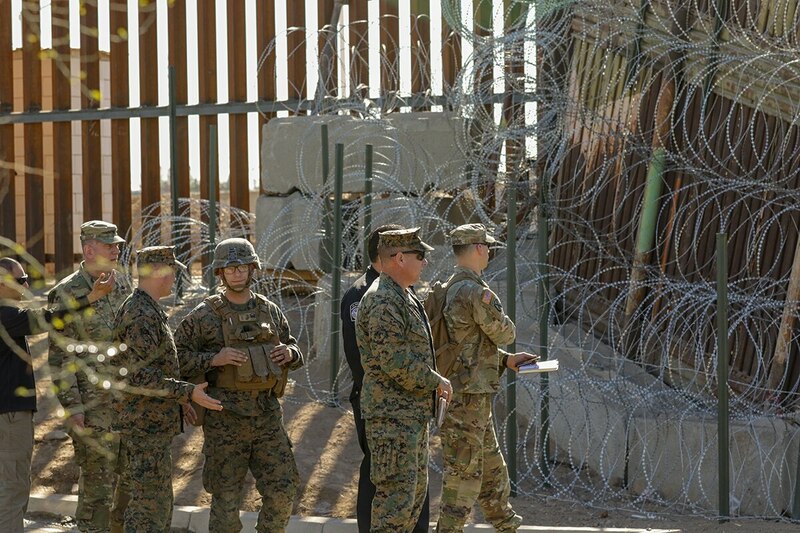 Troop deployment to the Mexico border has raised questions about improper use of armed forces. President Donald Trump has suggested that if Congress does not give him the funding to build a wall, he will use the military to establish one. There are already hundreds of miles of wall or fencing along the U.S.-Mexico border, but there are hundreds of miles more where extreme geography or private property rights could make a wall difficult to implement. The lack of funding for a wall is the cause of the current government shutdown, now in its 13th day. The additional DoD capabilities will be added to an existing request for support, which expires Jan. 31. It was not clear whether the new request would seek to have forces remain on the border beyond Jan. 31. DoD will now “determine requirements based on that” RFA, the official said.